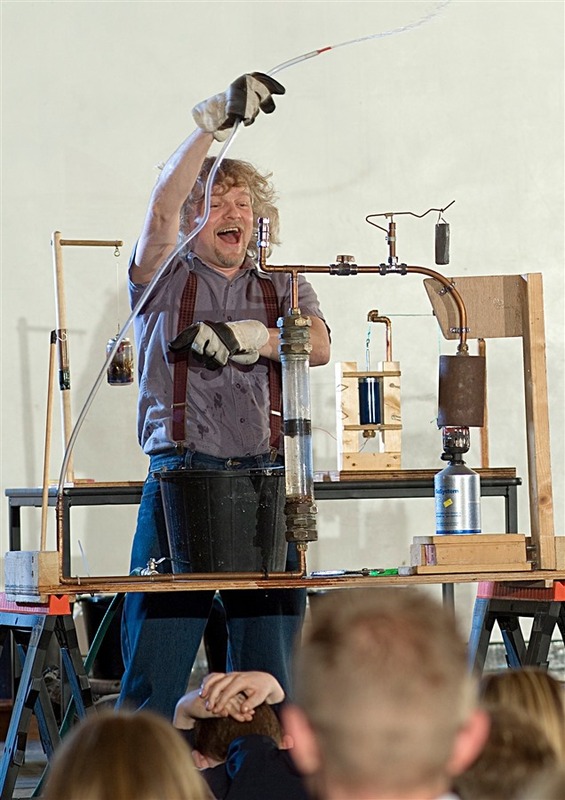 This year’s Orkney International Science Festival will open with a Zap! 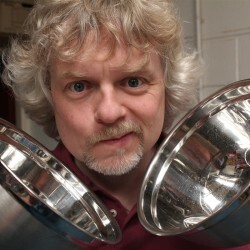 Or maybe a Crackle, or even a Pop! 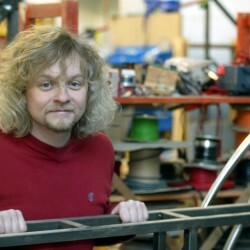 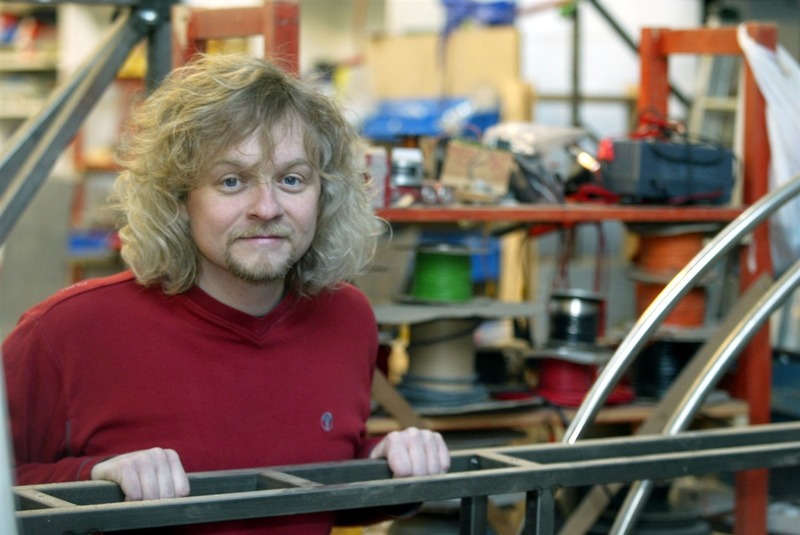 It will all depend on how television personality Marty Jopson feels at the time, or which props he can fit in his car for the road trip to Orkney. 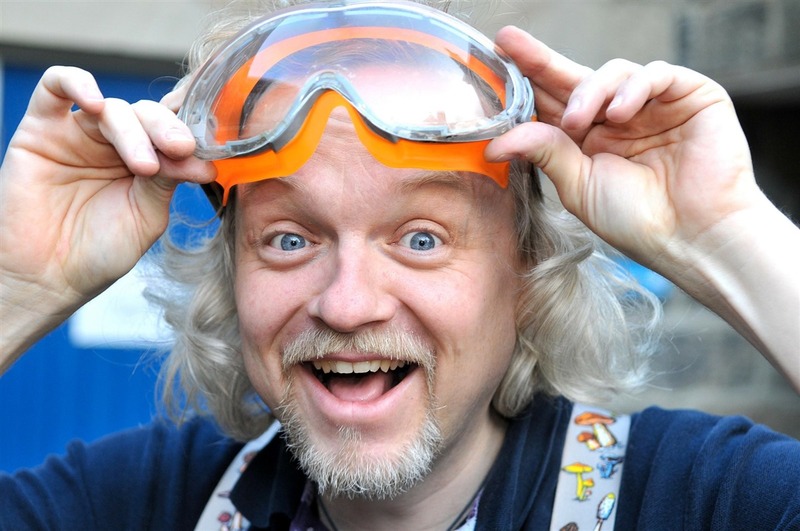 Instantly recognisable with his shock of blonde hair and his Dali-esque moustache, Jopson is The One Show’s resident scientist, known as the “Science Bloke”. 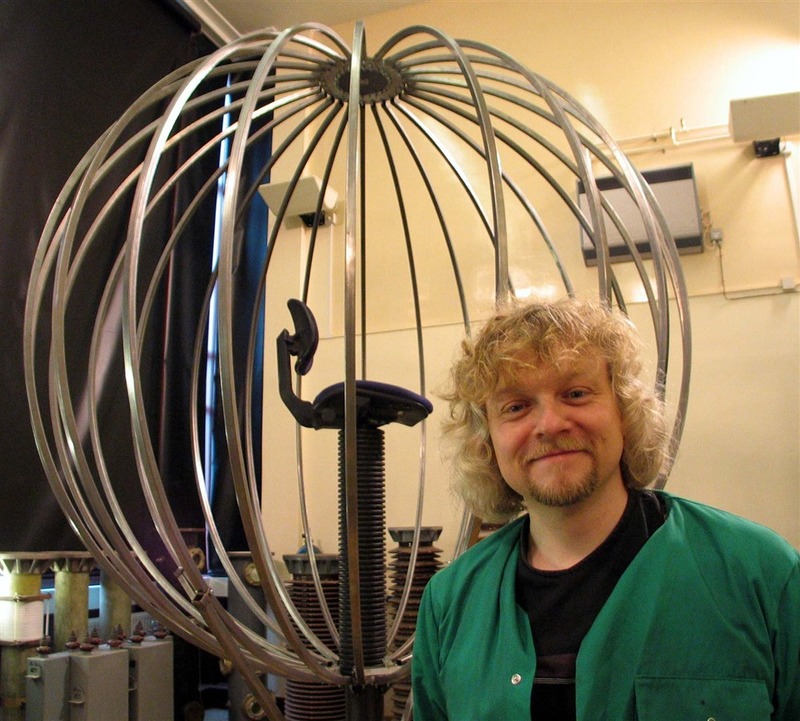 His activities on the BBC TV programme are often dramatic and he says he is thinking about something suitably lively for getting the Science Festival under way on 1 September. 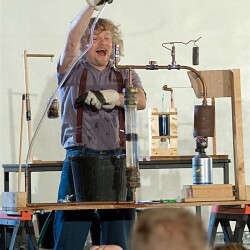 On the following evening he will present his own family show The Science of Everyday Life. 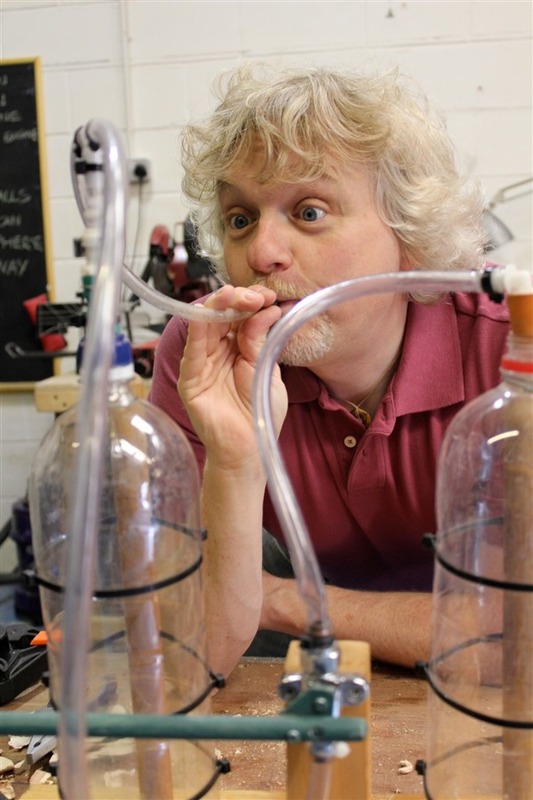 It will offer, he says, an insight into the science of household things and an answer to questions like: Why do soap bubbles burst? 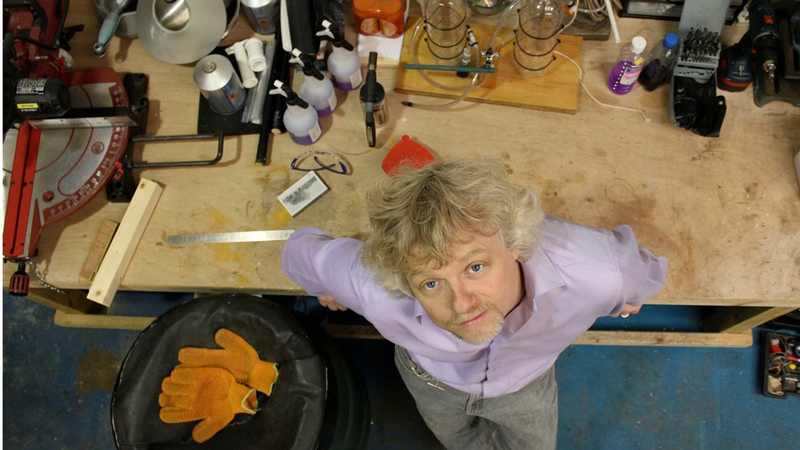 And how do you get the quartz out of a clock using a hammer? 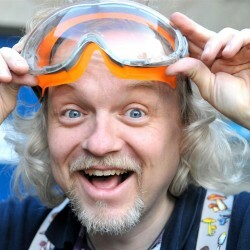 Marty Jopson describes himself as a “tinkerer and breaker of things” who likes to bring science down to earth so that everyone can enjoy it. 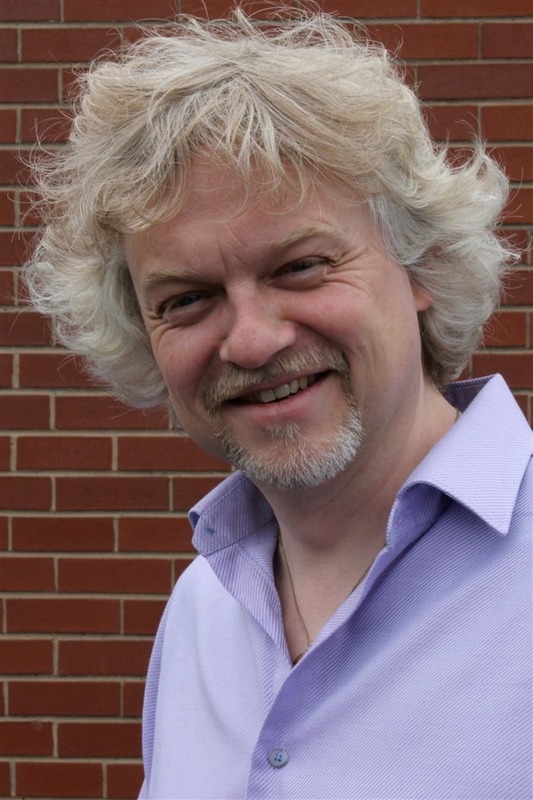 He has a background in plant science, with an MA from Cambridge University and a PhD in Plant Cell Biology from the John Innes Institute, University of East Anglia. 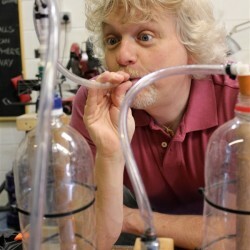 He says that is still passionate about plant science, but his interest in science ranges widely, driven by curiosity. 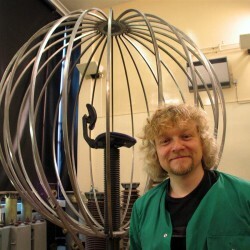 For The One Show he has reported on topics ranging from the origins of the seismograph to the invention of the lava lamp. 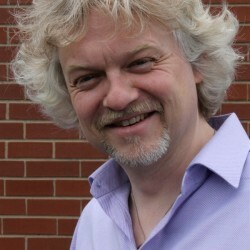 He is also known for TV documentary series such as The House the 50s Built, which he co-presented with Professor Brendan Walker, and A History of the World. 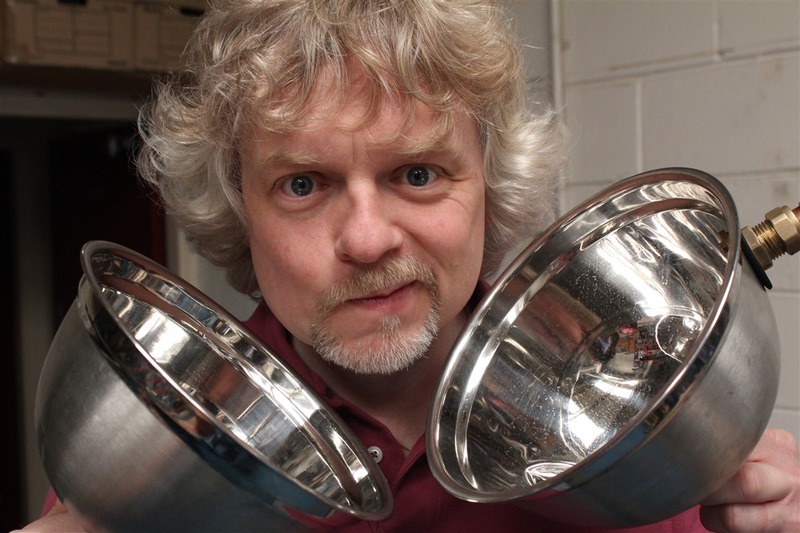 So what treats are in store for audiences at this year’s Orkney International Science Festival from Marty Jopson?